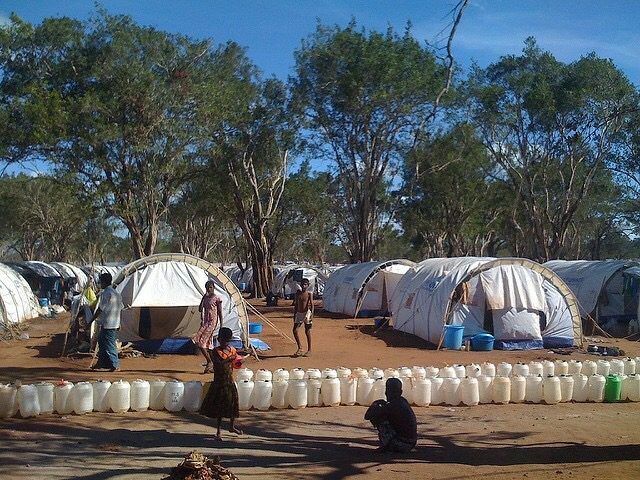 解説： DFID-funded, UNHCR emergency shelter tents, inside the Menik Farm camp for displaced people, near Vavuniya, Sri Lanka, 16 June 2009. 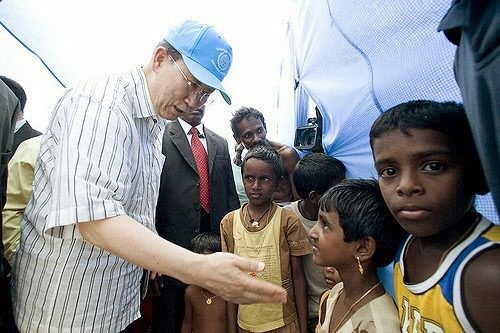 解説：Secretary-General Ban Ki-moon speaks to children at the Manik Farm camp for the Internally Displaced Persons(IDPs) during a visit there to see first hand the humanitarian situation. 23/May/2009. 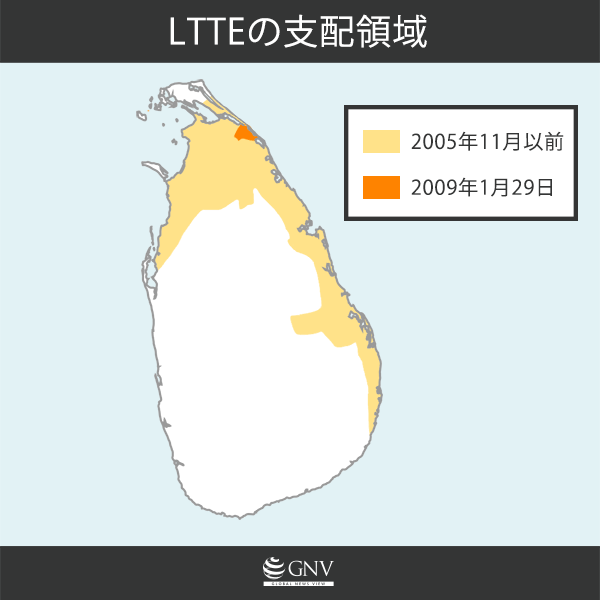 Vavuniya, Sri Lanka. 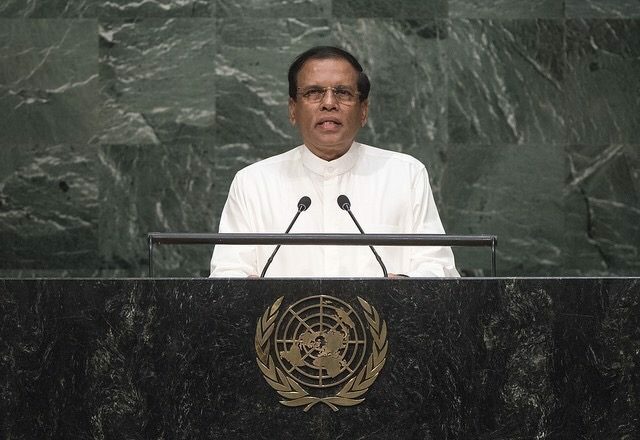 解説：Maithripala Sirisena, President of the Democratic Socialist Republic of Sri Lanka, addresses the general debate of the General Assembly’s seventieth session.